WASHINGTON — Acting U.S. Attorney General Matthew Whitaker said Monday he thinks special counsel Robert Mueller's probe into Russian interference in the 2016 presidential election and possible collusion with President Donald Trump's campaign will finish soon. Acting Attorney General Matt Whitaker, center, with Commerce Secretary Wilbur Ross, left, and FBI Director Christopher Wray speak, Jan. 28, 2019, at the Justice Department in Washington. "The investigation is, I think, close to being completed, and I hope that we can get the report from Director Mueller as soon as possible," Whitaker said at a news conference in Washington. Whitaker has been the acting attorney general since November when Trump ousted Jeff Sessions from the position. Trump had repeatedly complained about Sessions recusing himself from oversight of the Russia probe, and Whitaker declined to recuse himself despite calls that he should do so based on his past criticism of Mueller's investigation. 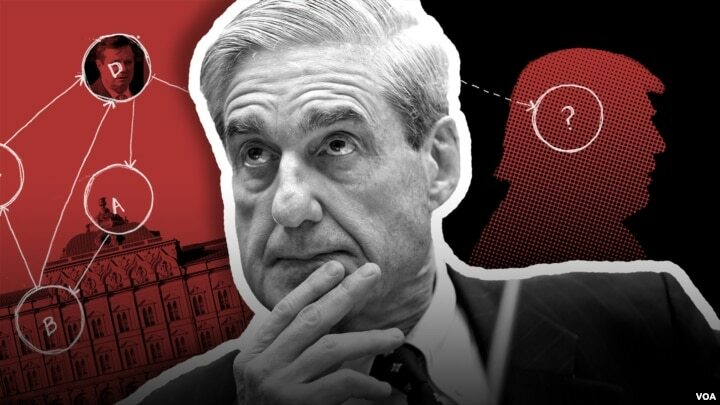 William Barr is awaiting a confirmation vote on his nomination to take over the Justice Department, and during his confirmation hearings he pledged, without citing specifics, that he would publicly release as much of Mueller's eventual report as possible. So far, Mueller's investigation has resulted in indictments or guilty pleas from 34 people and three companies. Roger Stone, a former Trump campaign adviser, became the latest in the president's orbit to be accused of criminal offenses in the probe. He was arrested last week after a federal grand jury indicted him for making false statements, obstruction of justice, and witness tampering. Stone is due to appear in federal court on Tuesday. Five other men -- former Trump campaign chairman Paul Manafort, campaign aide Rick Gates, foreign policy adviser George Papadopoulos, one-time national security adviser Michael Flynn and former personal attorney Michael Cohen -- have also pled guilty or been convicted of various offenses. Papadopoulos served a short jail term, while Cohen has been sentenced to three years in prison and ordered to surrender himself in early March. Manafort, Gates and Flynn are awaiting sentencing.